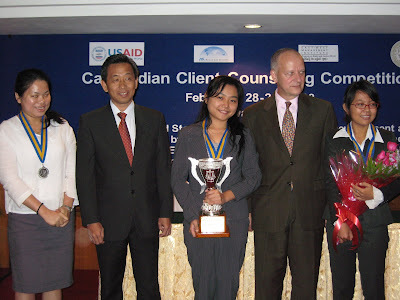 Congrats to Rath and Sonita on winning the first prize for Best Client Counseling! I'm so proud of you, super girls, Rath and Sonita! Hey, that is my classmate at IFL, Sokchea! She also got the prize!! !